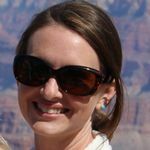 Whether you're getting married in your hometown or far away, you can personalize your big day with nods to the state (or states!) you love most. Here's how. 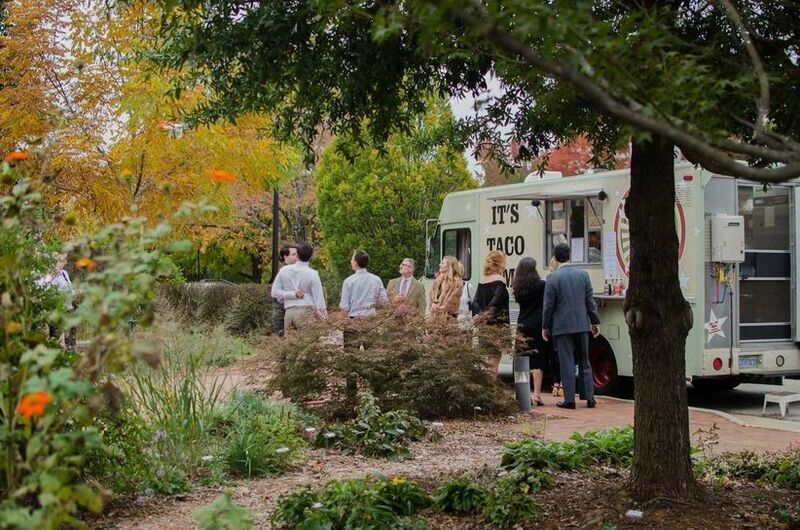 Growing up, you may have dreamed of getting married in your backyard or having your reception at the local country club surrounded by family and friends. But sometimes, life gets in the way, and the place you wed isn’t your home state—or even your favorite state. 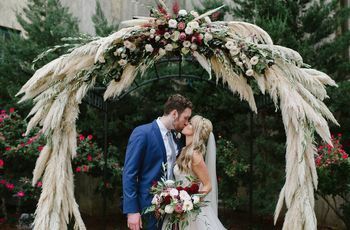 If that’s the case for you and your partner, you might want to incorporate some familiar elements into your wedding and reception that help you pay homage to the state that has your heart. 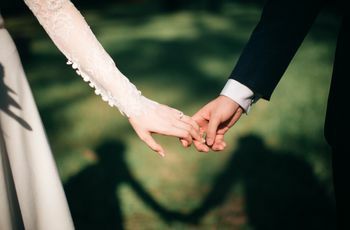 According to the 2019 WeddingWire Newlywed Report, 22 percent of couples include personalized elements in their wedding based on where they met or grew up. The good news? It’s super easy to do! 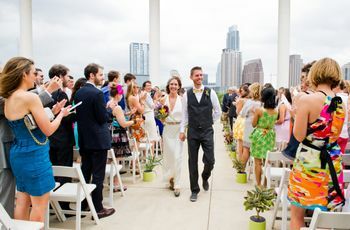 Keep reading for some great ideas on how to pay homage to your favorite state on your wedding day. For a subtle, elegant shout-out to your favorite state, use that state’s signature flower as part of your decorations. 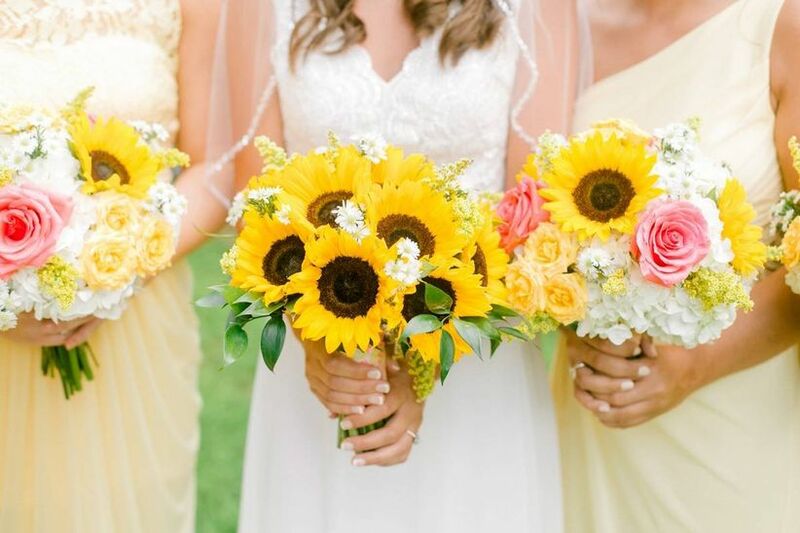 Magnolias from Mississippi, black-eyed Susans from Maryland and Indiana’s peony all make stunning choices for wedding flowers. 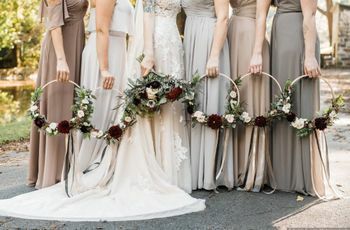 Of course, there are tons of different ways to do this; you could carry your state’s flowers in your bouquet, incorporate them into your bridesmaids’ bouquets, use them as boutonnieres, or even create unique centerpieces at your reception. 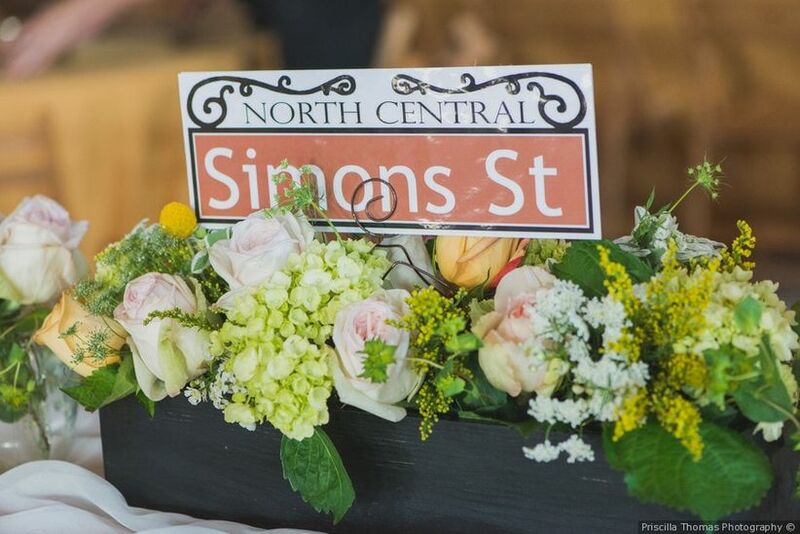 When thinking about how to incorporate state flowers into your wedding, consider how they would best fit into the rest of your wedding day decor. If you’re throwing a black-tie affair, your Kansas sunflowers may not work as well as they would at a casual, rustic celebration. Serve local food at your reception. 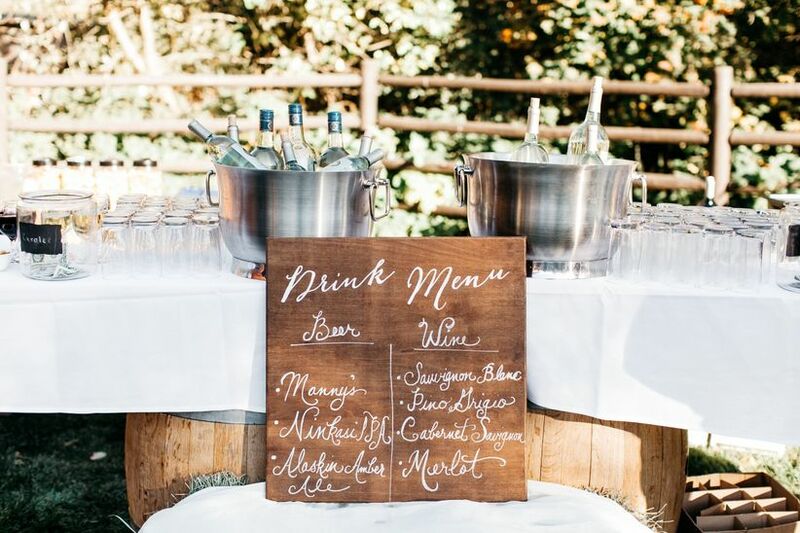 There are endless ways to serve food at your reception that reminds you—and your guests, of course—of your home state. If you hail from Arizona or New Mexico, a delectable taco truck or bar with a host of toppings is a great option. From the South? Don’t forget the shrimp and grits, or the crawfish! And a plate of delicious salmon takes on new meaning when Alaska is your favorite state. From appetizers to dessert, there are plenty of options if you’re looking to incorporate regional food into your reception menu. And if it’s an item you loved growing up that guests may not pick up on, consider making a sign with a short blurb about the food’s unique history—your guests will love learning about why it’s special to you. Give out welcome bags with curated items. 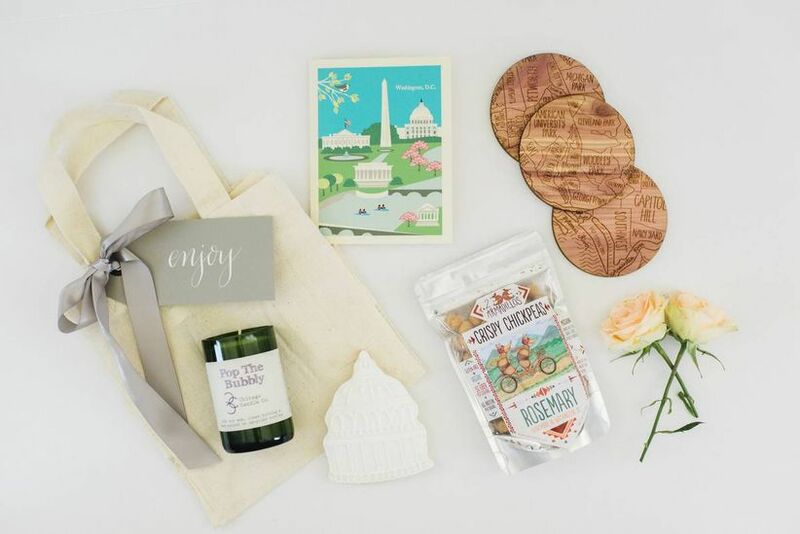 Whether the special state you’d like to incorporate is your hometown, or the state where you met your partner, one great way to pay homage is in the welcome bags you place in each guest’s hotel room. Things like magnets, bottle coolers, cutting boards, and a local wine or beer are great things to include in welcome bags that will immediately get your guests thinking about your favorite state. Have a bar with only state-specific brews, wines or ciders. If you’re trying to incorporate a specific state into your food and drink offerings, skip the top-shelf bar at the reception and instead serve only local brews that hail from your favorite state. You can choose wine, beer or cider, or a combination of all three, depending on which ones your state offers. This is a great way to save some money on alcoholic beverages too, which we consider a win-win! Play a song that speaks of your state. Whether you’re in a “New York State of Mind” or you want to pay homage to your “Sweet Home Alabama”, there’s probably a song for that. And it’s easy to incorporate it into your reception, since music will likely be played anyway. So regardless of what state you want to honor, all it takes is a bit of research to find the perfect song to play at your reception. And if you can’t come up with a song that directly mentions your state, consider playing songs by artists who hail from there, just like you did. Name tables after famous state landmarks or streets. Here’s a fun way to pay homage to a state that’s special to you; instead of numbering your tables, why not give them unique names instead? 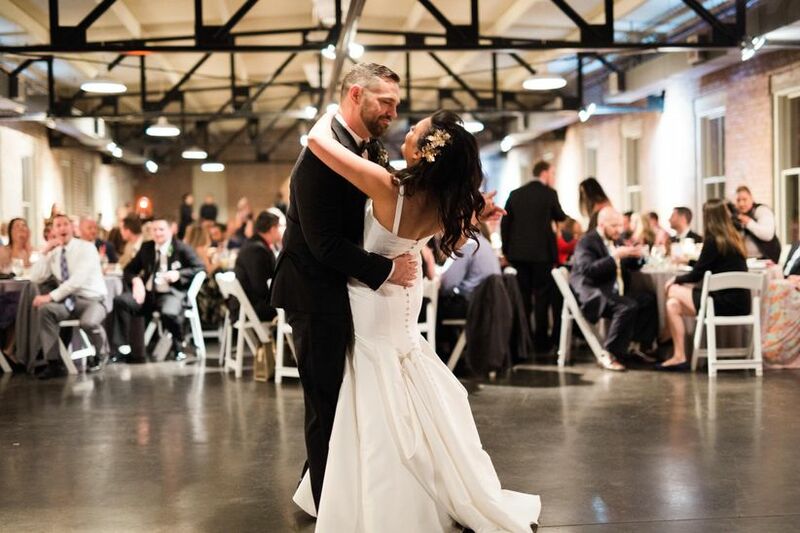 You could choose landmarks like statues or monuments (perfect for a DC wedding! ), or you could opt for popular street names or famous people who lived in the state. Have a photo booth (or send-off!) with your favorite sports team paraphernalia. Maybe your favorite state isn’t your home; maybe it’s the home of your favorite sports team! 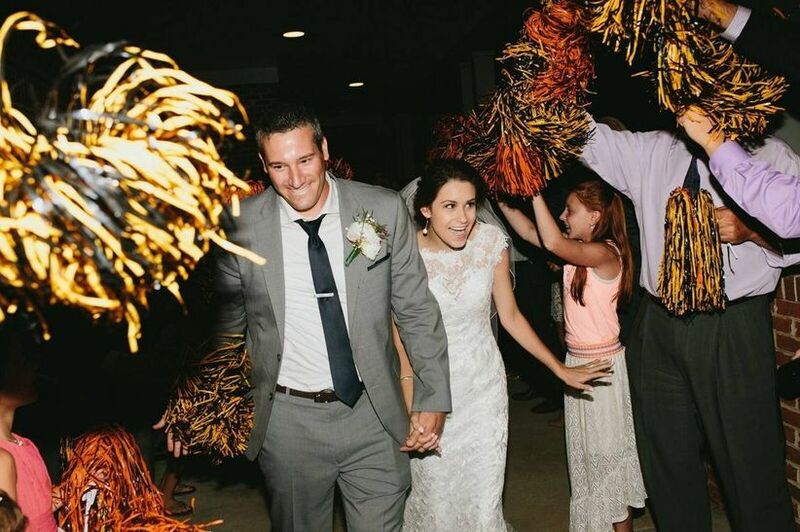 If you and your partner are die-hard fans looking to incorporate your favorite team into your wedding day, one great option is a sports-themed photo booth. Photo booths are fun for guests of all ages, and a great way to make memories, too. Not only that? It’s simple to do! Just rent a photo booth, then bring all your team paraphernalia for guests to don the gear like the superfans you and your partner are. You can also use these props to stage a fun send-off to show off your school or team spirit. Display a sign with state slogan, incorporate favors to go with it. 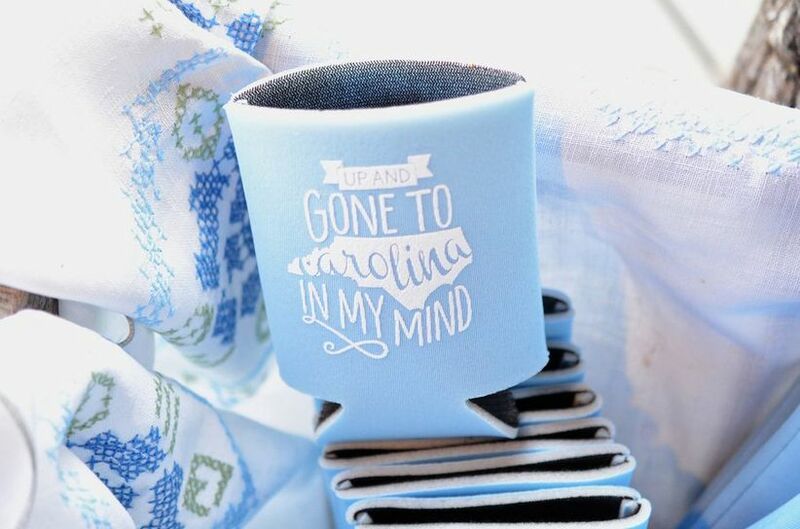 When you pay homage to your favorite state with your favors, it’ll be top of mind for your guests as they leave your wedding. And that’s exactly what you want, right? There are endless options here, so don’t be afraid to be creative. If Georgia is your state, why not hand out peach-scented candles? 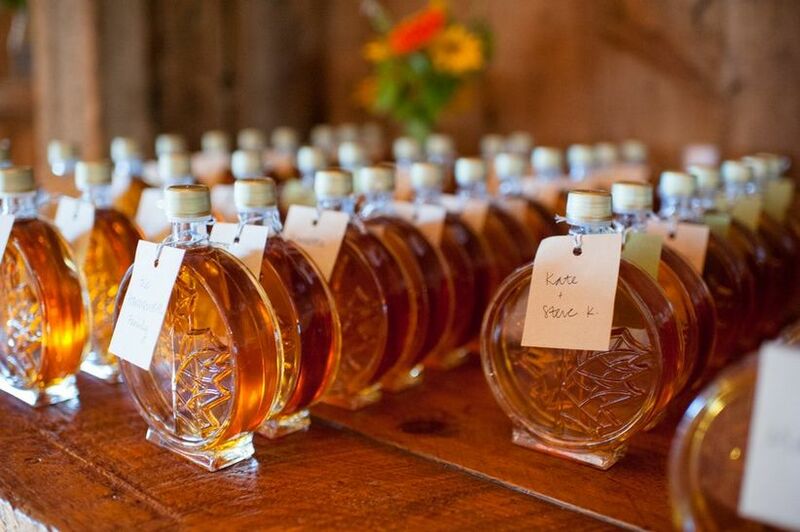 Or if you’re from Vermont or Maine, a bottle of local maple syrup would be a great option. Display your favors on a table with a sign that displays your state’s motto or nickname for a decorative touch.